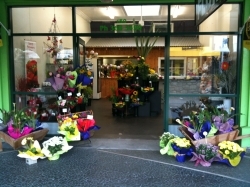 We are The only professional florist in LEVIN, OTAKI and FOXTON! Don't be disappointed speak to the professionals today for quality you can trust! Whether it's a gorgeous bouquet for a loved one, or a single stem for that special someone, The team at The Flower Boutique have you covered. Only query is that the 'delivery confirmation' used the picture from the order page and not an actual of what was delivered - a feature which has attracted me to use your service. Without seeing what was actually delivered I can't really judge, hence the assessment. Had a confirmation email to say the company had my order. Another email to say the flowers had been delivered all in 24 hrs I was very impressed with the service my recipient contacted me to say they had recieved the beautiful flowers. I did not see the flowers but I was told they brighten the room". If they looked like their advertisement picture then I am pleased with my online purchase." My sister in law was very happy with the floral arrangement delivered and the service was exceptional. Thanks to the staff for the substitute (as basket arrangement was not available) which was excellent and very much appreciated. Flowers were delivered to Mum in Foxton on time. She was extremely pleased with the quality and service. Excellent!! Excellent service, fast delivery. Great , thanks! Was a little unsure about ordering and sending flowers online but I couldn't be more happy with the result. The florist did an excellent job - I skyped my mum and saw the bouquet and it was beautiful and she was so pleased with it. Thank you so much for making Mum's birthday special. Highly recommend to others.